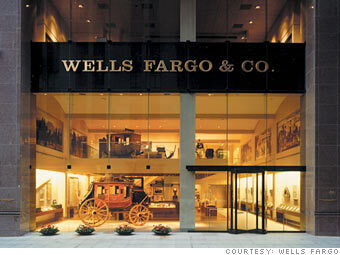 Wells Fargo & Co. is a diversified, community-based financial services company. It is engaged in the provision of banking, insurance, investments, mortgage, and consumer and commercial finance. The firm operates through the following segments: Community Banking, Wholesale Banking, Wealth & Investment Management, and Other. The Community Banking segment offers complete line of diversified financial products and services for consumers and small businesses including checking and savings accounts, credit and debit cards, and automobile, student, and small business lending. The Wholesale Banking segment provides financial solutions to businesses across the United States and globally. The Wealth and Investment Management segment includes personalized wealth management, investment and retirement products and services to clients across U.S. based businesses. The Other segment refers to the products of WIM customers served through community banking distribution channels. The company was founded by Henry Wells and William G. Fargo on March 18, 1852 and is headquartered in San Francisco, CA.